"Swaziland Regions | South West Swaziland"
The tourist seeking accommodation in Swaziland that offers everything, needs look no further than the South West of Swaziland. The hotels in the South West area of Swaziland offer a personal and cheerful service combined with peace and tranquility. Golf, Horse Riding, Hiking, Bird Watching, Fly Fishing and Scenic Drives are but a few of the activities in which the tourist can partake. Entry into the South West of country for those seeking accommodation in Swaziland is through the Mahamba or Nerston/Sandlane border posts. Both border posts are on the boundary with South Africa, Mahamba near Piet Retief and Nerston/Sandlane near Amsterdam. 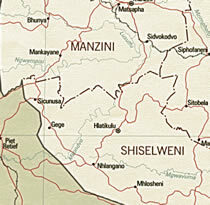 Nhlangano is the Administrative Centre of the Shiselweni Region. Nhlangano means “The Meeting Place”, so named as it was here that King Sobuza II met King George VI in 1947. King George VI was accompanied by his wife and two daughters, the elder of which was to become Queen Elizabeth II, the present Queen of England. Nhlangano is developing into the new industrial area of Swaziland. The Nhlangano Sun Hotel and Casino is set in 20 hectares of glorious grounds overlooking the Mkosini Valley. The hotels 48 chalet type rooms, connected by pathways leading to the central building, offers accommodation in Swaziland second to none. The staff is outstanding in their care and attention to the visitor. The hotel is ideally situated for Hiking, Fishing, Horse Riding, Scenic Drives or just lazing around. At night, of course, there is the Casino, for the gambling enthusiast, the restaurant and bar. The route from Nhlangano to Manzini via Hlatikulu is possibly the most picturesque scenic drives in the Kingdom of Swaziland. The route from Hlatikulu passes through the Grand Valley. Driving along this route the visitor will travel through the middleveld, up steep hills and down into the valleys. Part of the route runs beside the Mkondo River, through the forested area of Shiselweni and past the agricultural area of this picturesque district. Climbing up to Hlatikulu the view down the valley is breathtaking. The drive joins the main Manzini/Mbabane highway just outside Manzini. Another one of the many scenic drives in the Kingdom of Swaziland is the route from Nerston/Sandlane border post to Mbabane via Mhlambanyati or Manzini via Malkerns. This would be the best route for those coming from the Gauteng Reef area. Travel the 34 kms from the border through the Usutu forest to Bhunya, where the Usutu Pulp factory is situated. The Usutu forest, covering thousands of hectares of mountain sides, is one of the largest man made forests in the World. It is here, at Bhunya, you would turn left and climb up to Mhlambanyati or right to drive through the Malkerns Valley. Mhlambanyati, “The watering place of the buffalo”, was named after the famous Swazi regiment that rested there. Mhlambanyati is a small village housing the employers of Usutu Pulp and has the usual Shops, Schools, Churches, Sporting Facilities and a Clinic. The drive from here down to Mbabane is very picturesque. The Fly Fisherman looking for accommodation in Swaziland need look no further than the Foresters Arms Hotel in Mhlambanyati. Fly fishing in Swaziland can be enjoyed from the Foresters Arms Hotel , with its many surrounding dams and streams. The Foresters Arms Hotel caters for the fly fisherman’s every need. All fly fishing in Swaziland requires the fisherman to have a license, these can be obtained at the hotel. Visitors would do well to stay awhile and enjoy the peace, excellent service and facilities offered by this hotel. A golf course ajoins the property with tennis and squash courts nearby. The alternate scenic drive, which is to Manzini is through the Malkerns valley. At Bhunya you turn left. The area between Bhunya and Malkerns is undulating and primarily agricultural. The route follows the Usutu River for some distance. 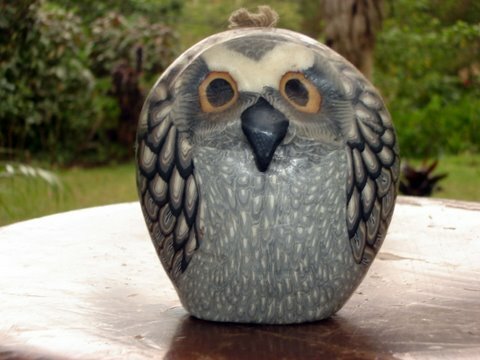 When reaching Malkerns the visitor can stop and explore the various roadside stalls selling homemade arts and crafts. The well known Swazi Candles factory is on the right just a few kilometers from where this road meets the Mbabane/Manzini main road. The world renowned Swazi Candle is manufactured in the Malkerns valley. Swazi Candles is situated in a farmhouse environment where Swazi craftsmen and women mould each candle to its unique and individual shape. Swazi Candles began as a clever idea which has mushroomed into a thriving home industry. The visitor to Swazi Candles can watch the entire process of moulding the candles from start to finish. Swazi Candles are an apt souvenir of the Kingdom of Swaziland. Just to witness the crafts people working and singing is an experience in itself. Hover over images for larger view.